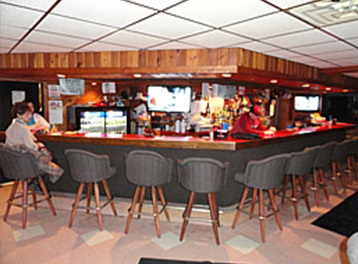 "Spooner Wisconsin's BEST Sports Bar for Pizza, Burgers, and Camaraderie"
Tony's Riverside has been family owned and operated since 1977. 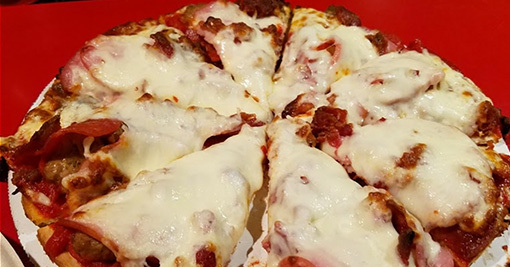 People from all over the region have been stopping at Tony's Riverside for the best pizza, burgers and atmosphere in the area. Conveniently located 3 miles west of Hwy 53 on Hwy. 63, 30 minutes from Siren and 40 minutes from Hayward, in beautiful downtown Spooner, and is across the street from the Country House Motel and RV Park. Open for lunch and dinner seven days a week, Tony's Riverside is a great place for your next special event. Our private room is the perfect setting for birthdays, receptions and anniversary parties. Tony's Riverside also offers Catering both on site and off site for any size parties large or small. 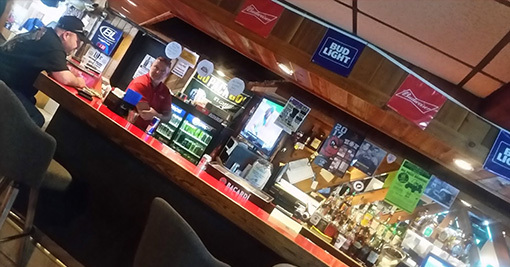 We have television sets featuring the NFL Channel and the Big Ten Network throughout the bar to keep you up to date on the latest sporting events. 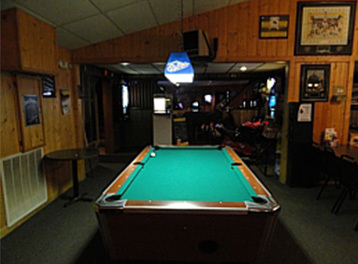 Or try your skill at pool on our popular pool table. 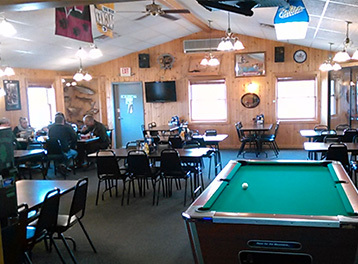 For more Spooner fun and drinks, visit our Wobblin Duck Bar in Downtown Spooner where friends and families meet to talk about good times.